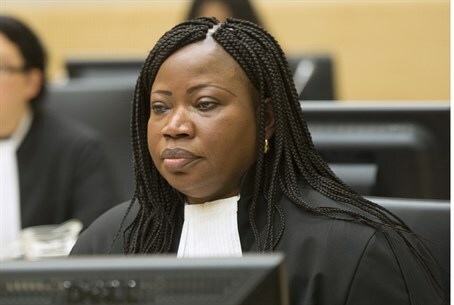 ICC chief prosecutor intends to launch 'unbiased' investigation into 'both sides' of Gaza war; no official decision has been made yet. The International Criminal Court's chief prosecutor has said she is weighing opening war crimes investigations into Palestinians as well as Israelis after the Palestinian Authority (PA) joined the tribunal's jurisdiction last month, according to AFP. Fatou Bensouda rejected Israeli fears of bias by the court, promising to consider the evidence "independently and impartially without fear or favor," in an interview published by Haaretz on Friday. Bensouda said that so far her deliberations were still at a preliminary stage and no investigation had been opened into anyone from either side. "At this stage we are not investigating, as a decision on whether to open an investigation in the situation of Palestine has not been made," she said. Many have noted that by joining the ICC the PA has opened itself up to lawsuits - every missile fired on Israel by the PA's unity partner Hamas, and indeed by PA chairman Mahmoud Abbas's Fatah, constitutes a war crime. Specifically, a Palestinian Arab source admitted to the possibility of the ICC bid backfiring while speaking to Maariv last month, noting "Palestinians can make a claim against the settlements, but it's doubtful that a claim regarding the recent war in Gaza won't bring about a counter-suit from Israel, which is preparing for this." "The Israelis have prepared stacks of paperwork on conduct during Operation Protective Edge, including claims of Hamas rocket fire and Palestinian groups shooting from schools and other civilian buildings. This could lead to a suit against Hamas leaders who control the Gaza Strip," the source added.